Betty Barclay are renowned for their luxury jean selection which perfectly complement the female silhouette whilst keeping you on trend. 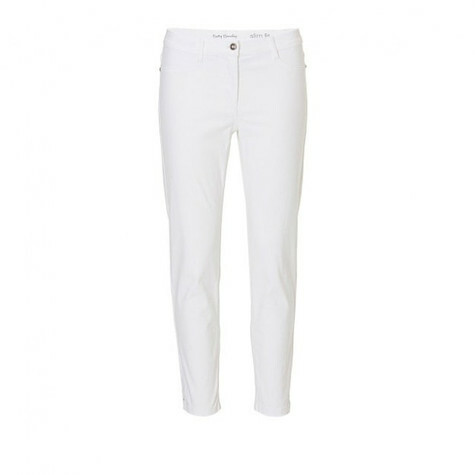 The Sally jean in white has a mid-rise which helps flatter the silhouette by tucking in the tummy and lifting the bottom and are finished with a slim leg. 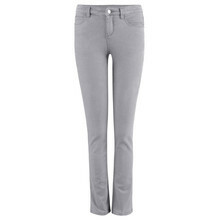 These trousers are perfect for creating a stylishly casual look.